Commuting to and from work, I spent about an hour a day on the train. Then, there’s the 10 minutes each way it takes to walk from the train to my office and back again. All in all, I spend about a hour and a half commuting to and from work. My newest favorite way to use that time is to listen to a few chapters of a book. Usually, I like to read an actual book to and from work, but I hate when you get to that really great place in a book that you just don’t want to put down and then you hit your stop. Putting the book down seems practically impossible and this is when I came up with the idea to have both the book and audiobook so I never have to miss out on finishing that amazing chapter. The only problem is that audiobooks can be a bit expensive. I’ve seen them range from $10 to almost $40 and that’s just way too high for the way I go through books. This is why I was so stoked when I discovered Audible. For $15 a month, I get a credit for any audiobook I want plus 30% off all other books. Even better, their trial period gives you a free month and two free books. It actually makes me excited to get on the bus! 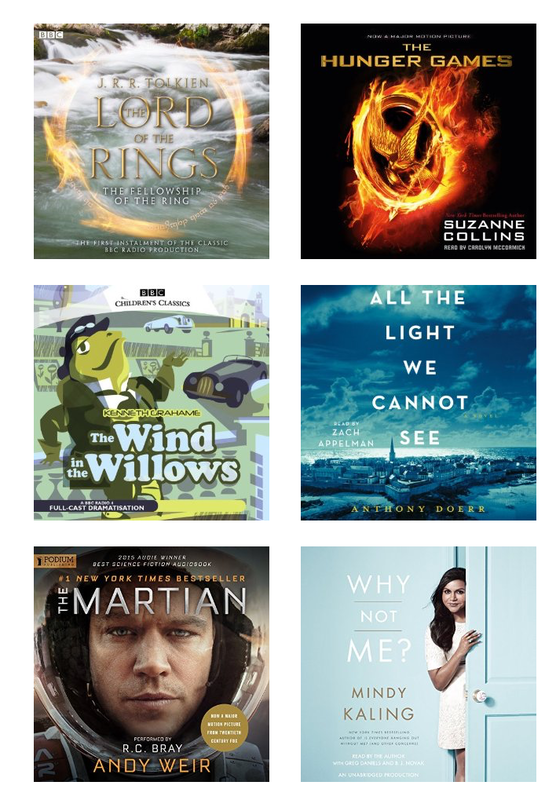 Another thing I’m loving about Audible is that it’s not just audiobooks, but they also have these crazy dramatizations of classics like The Wind in the Willows and The Lord of the Rings so it’s great for helping me fall asleep at night. I’m so excited to be able to pull out my phone everyday and go right back to my next book. Are you a big fan of audiobooks? Share with me in the comments below! I used to listen to audio books all the time.. but I never checked out audible! Thanks for the code! I LOVE Audible. I just finished listening to Menagerie by Rachel Vincent (for our Page à Vu book club at http://www.pageavu.com) and it was SO good! I grew up listening to audible tapes/CDs of books because it feels like the person is in the same room talking to you!! Plus, it very helpful for foreign and fiction stories to pronounce difficult words! I will keep in mind about this service!